During the summer term (April-May 2019), 36 Silliman University working students will again benefit from the Special Program for Employment of Students (SPES). These student assistants assigned to the different academic and non-academic units in the University will receive compensation from the Department of Labor and Employment (DOLE) for work rendered during the summer term. Last year, 86 working student were SPES recipients. The drop this year is attributed to other work opportunities for students especially in the online job market and to the big number of working students who graduated last March. The Career and Placement Center of the SU Alumni and External Affairs processes the papers of working students under SPES. SPES is a joint undertaking of different government agencies: Department of Labor and Employment (DOLE), Department of Education, Commission on Higher Education, Department of Budget and Management, Department of Social Welfare and Development, and Department of Finance. It seeks to develop the skills and harness the potential of students who come from financially challenged families to prepare them for industry work in the future. The program helps poor but deserving students pursue their education by encouraging their employment during the summer break, enabling them to earn some amount to subsidize their studies. 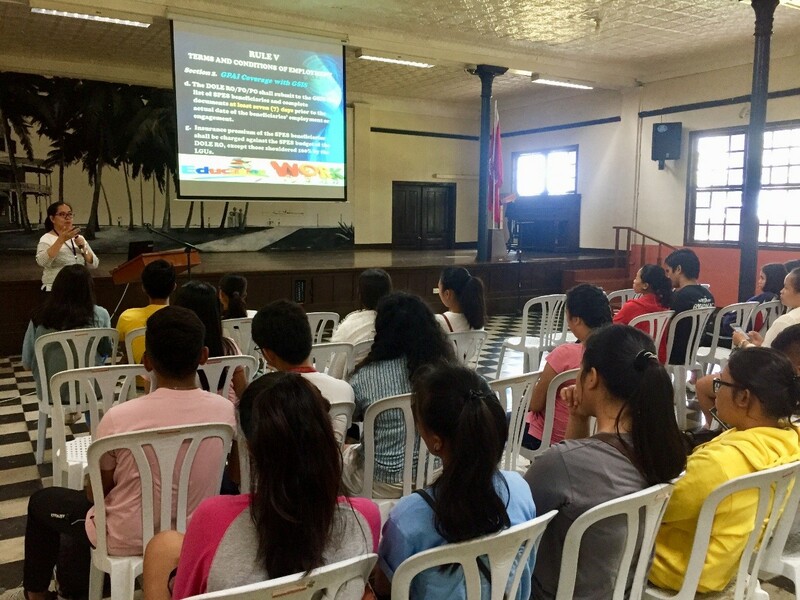 Ms. Evita Villagonzalo-Remorosa, DOLE Provincial office representative, conducted a briefing for the participating students last April 5 at the Silliman Hall. This is the 10th year Silliman working students have availed themselves of the program. 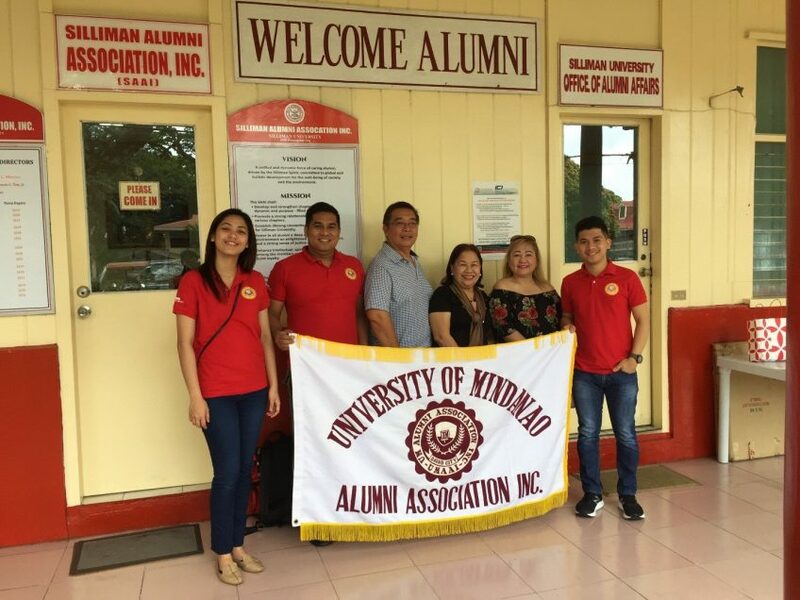 A five-person team of the Alumni Affairs Office of the University of Mindanao (UM) was on campus last April 10 to benchmark with the Silliman University Alumni and External Affairs. The team headed by UM Alumni Affairs Director Dr. Stilo Floyd Schneider and UM Alumni Association President Ms. Nancy Punzalan-Ibayan exchanged with the SU Alumni and External Affairs Office staff ideas and best practices in managing and conducting alumni engagements in the country and abroad. They also exchanged information on how alumni are recognized based on their giving back to their Alma Mater. The UM visitors had a quick meet-and-greet with the SU Vice President for Academic Affairs, Dr. Earl Jude Paul L. Cleope, and was given a tour of the campus.